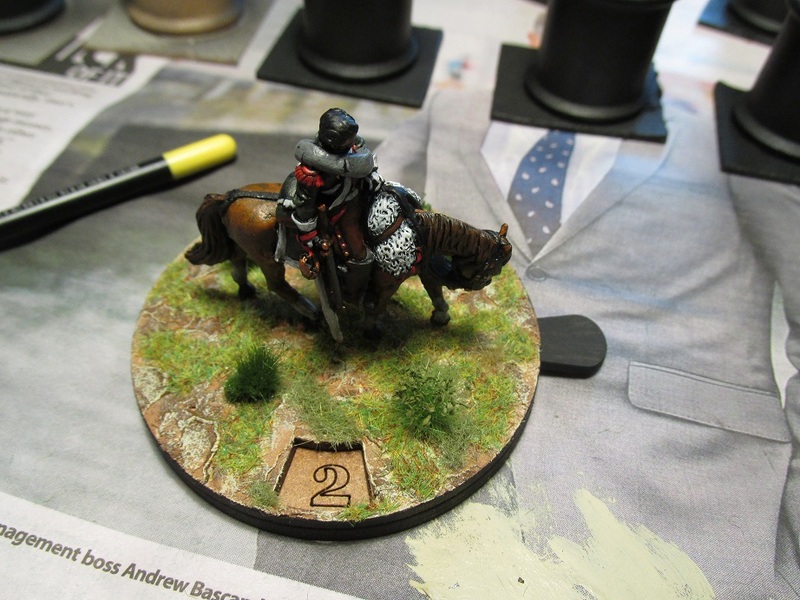 I recently took delivery of my custom 70mm Cavalry Casualty bases from Warbases, The first two completed bases are Perry Miniatures Dutch/Belgians doing duty as French cavalry. 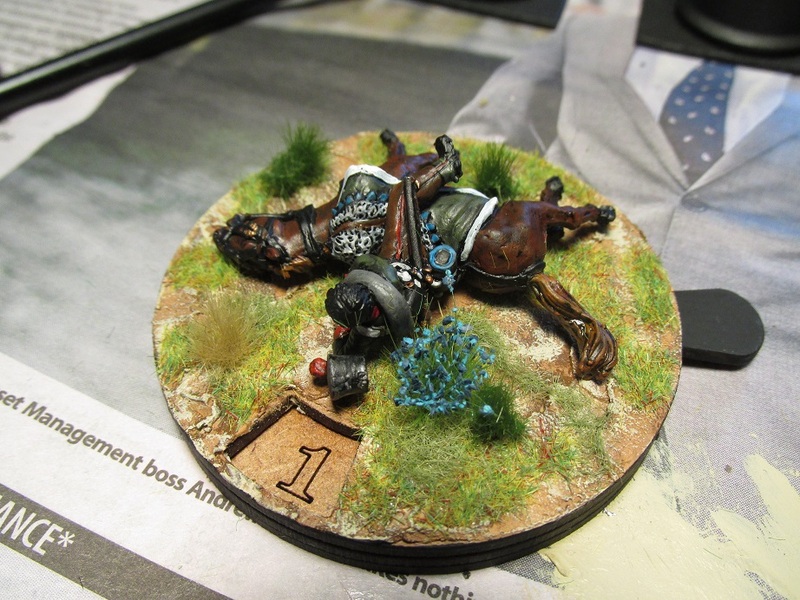 I wanted them to take a fallen horse without any of the model hanging over the edge. 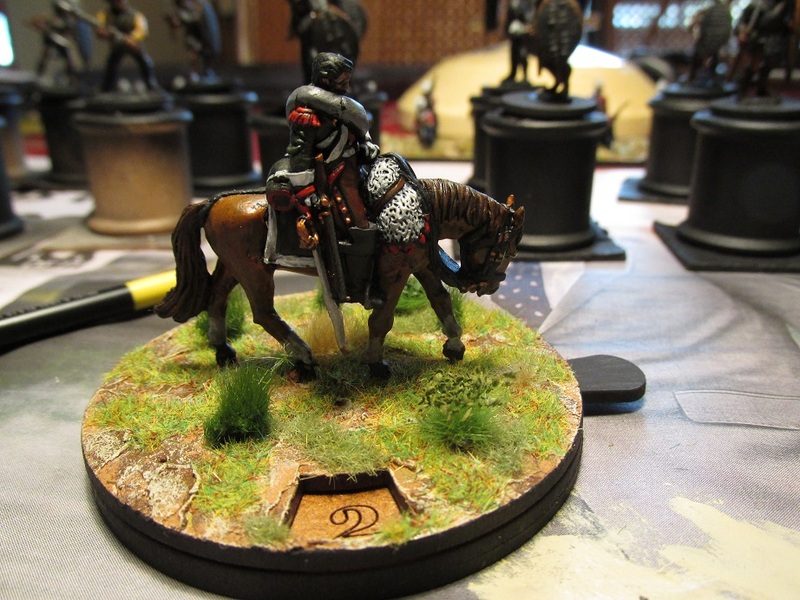 While a bit larger than a dice marker, I hope they will add a visual aspect to my next wargame. Love this work, great looking vignettes/markers! I expected these to look good when you mentioned them on your last infantry “Casualty Bases” post a couple of months ago, but these have surpassed expectations. Thanks chaps. 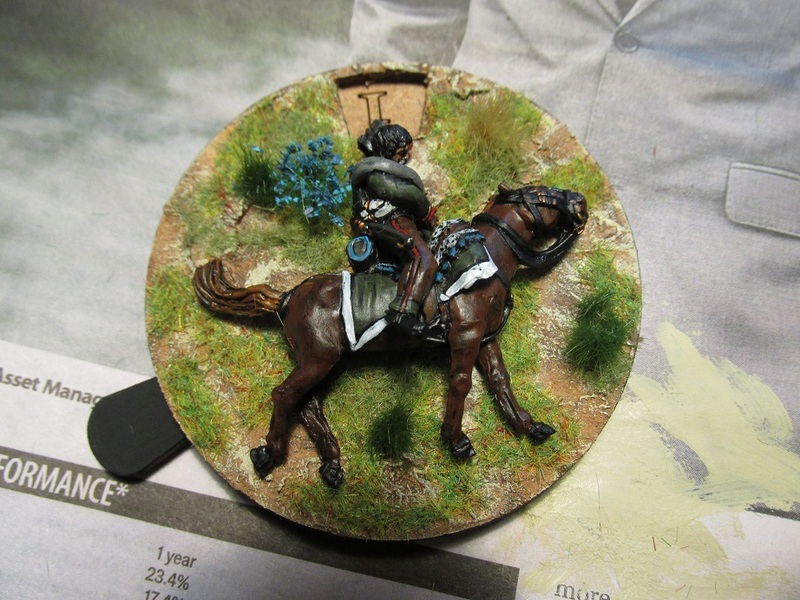 I have five more cavalry casualty figures on the painting table. Some Saxons, more French and a French Chasseur who is going to pretend to be a British Light Dragoon. Also some artillery casualties to base up.